The weekend of 13th– 15th October 2017 saw the Institute of Education at UCL transformed into a hive of activity for the annual Feminism in London Conference (now called FiLiA). 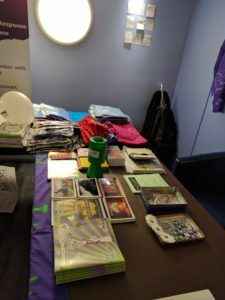 Over these two days, many interesting speakers discussed topics of high importance such as femicide, sexual exploitation, domestic abuse and the changing face of patriarchy. 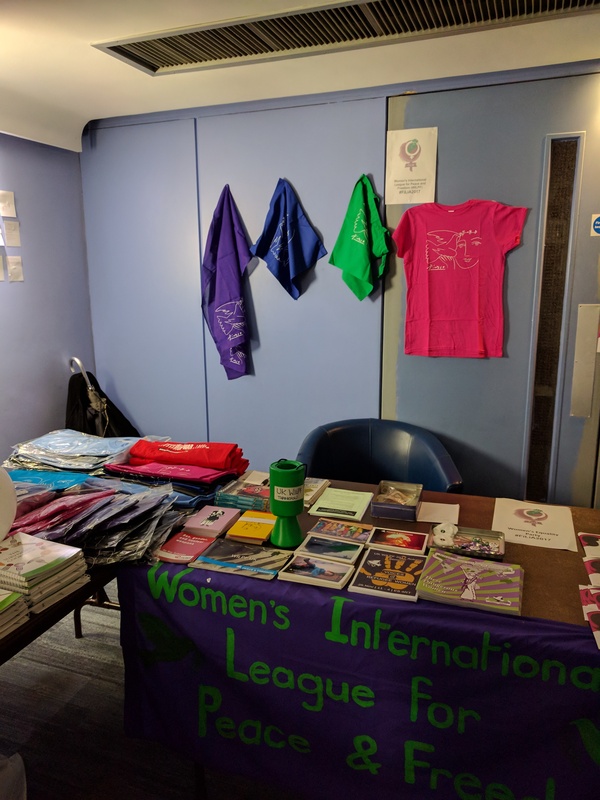 UK WILPF was delighted to attend FiLiA, to learn more about other like-minded feminist organisations and to see how we can work alongside them to magnify women’s voices. Our stall received a lot of interest, and we chatted to people about everything from the International Campaign to Abolish Nuclear Weapons, to issues closer to home such as female representation in Parliament. The conference was a great opportunity for us to learn more about current issues, to get in touch with other women organisations and to disseminate information about our upcoming 2017 Autumn Seminar ‘Voices of Refugee Women’. Our stall offered us the possibility to raise awareness of WILPF international and UK WILPF’s work, to distribute WILPF t-shirts and badges and to discuss various issues with curious, interesting and interested women, from our WILPF logo (the famous Picasso drawing) and the issue of refugee women, to ICAN being awarded the Nobel Peace Price earlier this year, among other topics. The weekend was also an opportunity to reflect on the progress feminists have made, looking at the legacy of our founders, ‘the dangerous women’, and other brave women. Equally, it was a chance to look forward, to see the challenges that remain for women both in the UK and elsewhere around the world. We hope to see you at our Seminar in November, and if not we hope to see you at Feminism in London next year!